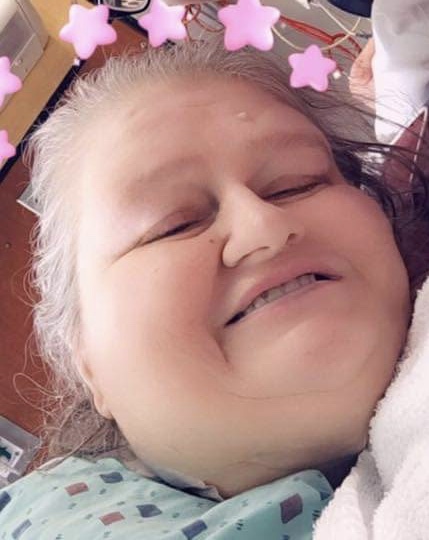 Ruth Ann Sullivan, 62, of Indianapolis, passed away January 15, 2019, at IU Methodist Hospital. Ruth was born on July 13, 1956, in Indianapolis, the daughter of Rev. Charles and Minnie (Harris) McCutcheon. She is survived two daughters- Anna Cochran and Dawn McCutcheon both of Indianapolis; son- Keith Crouch of Indianapolis; ten grandchildren- Britteny, William Jr. (Britney), Little Keith, Zack, Wyatt, Twins, Krislin, Destiny and Dalton; two great-grandchildren; three brothers- John McCutcheon, Randolph McCutcheon and Donald (Kim) McCutcheon all of Indianapolis; four sisters- Marilyn (Steve) Smith, Phyllis (Jack) Clary, Donna (Warren) Ward and JoAnn (Wayne) Spears all of Indianapolis; significant other- Ricky Nichols of Indianapolis; and several nieces and nephews. She was preceded in death by her parents and seven brothers- James, Raymond, Charles, Dale, Curtis, Guy and Robert McCutcheon. Ruth was a member of People of Praise Church. She enjoyed cooking, talking with people and spending time with her children and grandchildren. A Celebration of Ruth Sullivan’s Life will be held at 1:00 p.m. Wednesday, January 23, 2019, at Norman F. Chance Funeral Home. Visitation will be from 11:00 a.m. to 1:00 p.m. Wednesday, at the funeral home. Following the services cremation rites will be accorded. In lieu of flowers memorials may be made to the family. The family has entrusted the Norman F. Chance Funeral Home and Cremation Service to assist them in honoring Ruth’s life. Memories or photos may be shared with the family on her everlasting memorial page at: www.ChanceFuneralHome.com.